Mindfulness is the ability to be aware in each moment of what we are actually experiencing. We are then able to choose how to respond most effectively. We can develop this ability even when life seems difficult and by doing so change our relationship to pain and illness. By gently noticing, and responding in a kindly way to all that we feel we can find greater personal freedom and bring a more creative and balanced perspective to living. 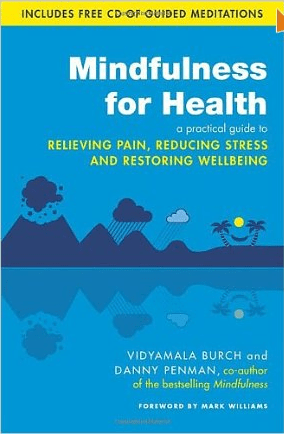 Price includes Mindfulness for Health Book and CD with guided practices. Ratnadakini ( Kay) is also available for one to one sessions, at her home or yours , for those times in between courses or for anyone who would prefer personal attention, or is unable to attend a course. One could cover the whole content of the 8 week course or these sessions can be tailor-made to each persons requirements, with instruction on mindfullness practice and strategies to help with immediate circumstances. Once you have completed the course you can attend Mindfulness Drop-in Classes every Monday evening from 7.30pm-9pm. Suggested Donations £5/£3.